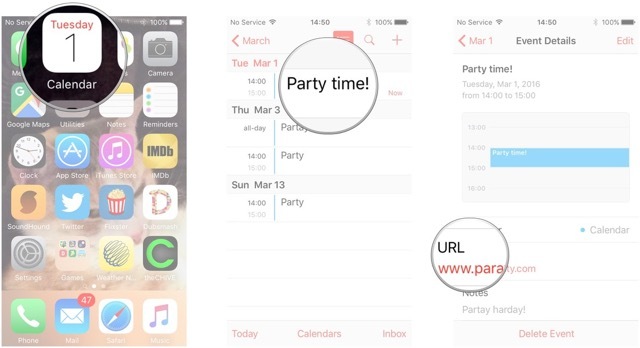 Calendar for iPhone and iPad means never missing and appointment — or party! — again! 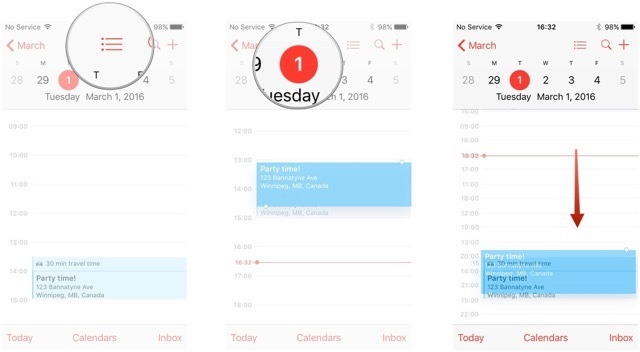 The Calendar app for iPhone and iPad provides a great way to keep track of all your appointments and events. 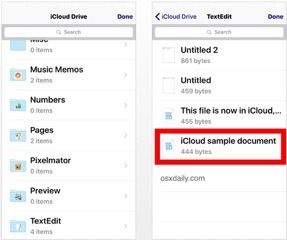 While it’s faster to use Siri to create basic events to add to your calendar, if you need more precise control, or if you want to edit existing event details, you can also do it the old fashioned way — by tapping your way through all the options! 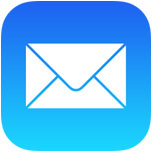 Tap on the plus sign in the upper right hand corner. Enter a title, date, and time to your event. You can also enter an exact location if you wish. Next, choose if you want the event to be an all day event. Turn this option off if the event has a specific time. You’ll then see dates and times you can edit and change. 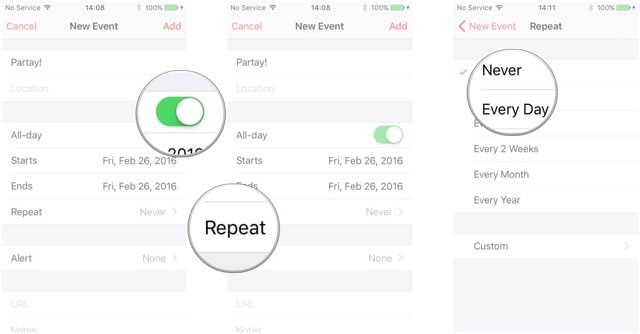 If your event repeats, you can customize it to do so. Choose how often your event will repeat. 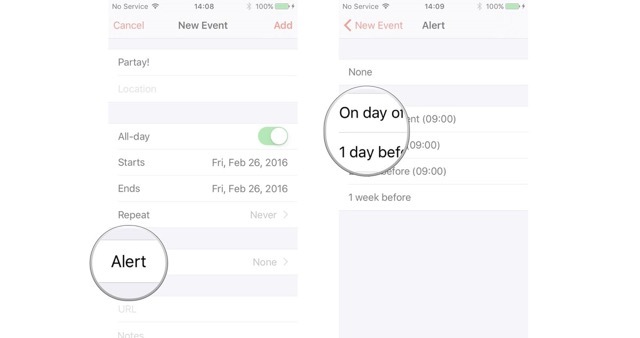 Next choose an alert if you’d like to be notified of an event. Choose when you’d like to be alerted. Enter a URL if there is a website associated with your event. Tap Add in the upper right hand corner in order to save your entry. Tap on the month during which your event takes place. Tap the day on which your event takes place. It will be denoted by a gray dot. Tap the event that you’d like to edit. 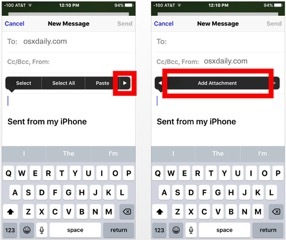 Edit anything you need to and then tap Done in the upper right hand corner to save your changes. Tap the month in which your event takes place. Tap the day on which your event takes place. It’ll be denoted by a gray dot. Tap the event that you’d like to delete. 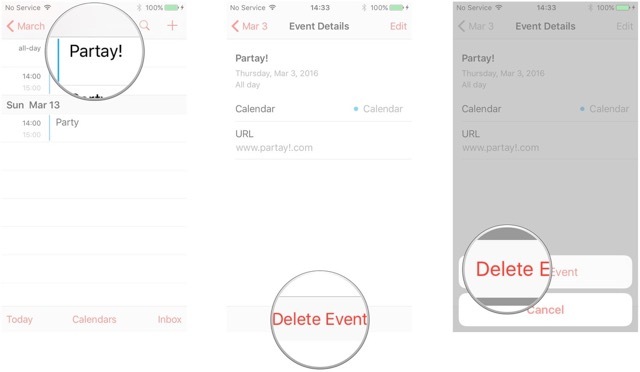 Tap on Delete Event — it’s all the way at the bottom. Tap on Delete Event one more time when it pops up in order to confirm the delete. That’s all there is to adding, editing, and deleting Calendar events. Now you can fill up your calendar, form a cocoon, and very soon emerge as a social butterfly! Or, something less visual and creepy. Whatever. 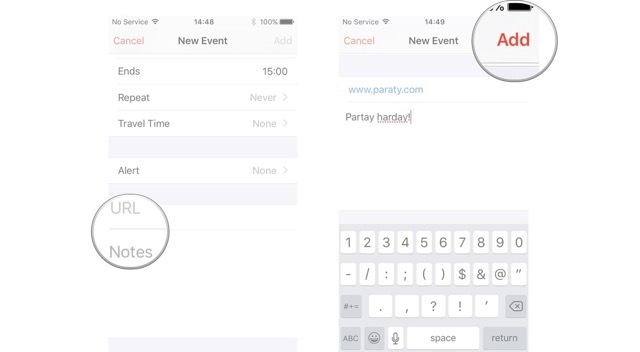 Tap on the plus sign in the upper right hand corner to add an event like you’d normally do. Scroll down to see the URL and Notes fields. Tap the field in which you’d like to enter information and do so accordingly. 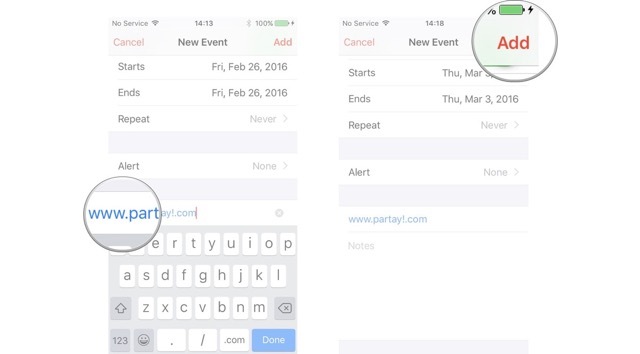 Tap Add at the top right to save your event. You can now tap on URLs and view notes attached to the event, as can anyone you share the event with. Tap the event you’d like to view. 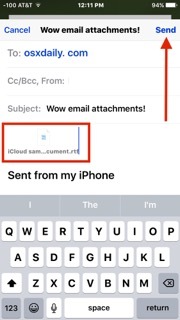 Tap on the event that has a URL or notes attached. Tap the URL or note you’d like to view. 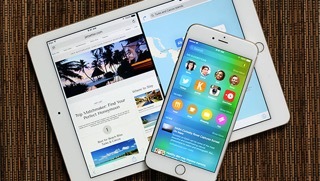 The URL will load automatically in Safari or the appropriate app. Have a lot of appointments and meetings to juggle? Would it make your life a little easier to be able to easily see how long it will take you to get from one place to another? 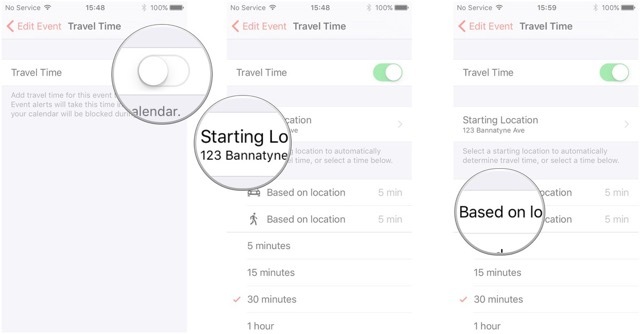 Apple’s Calendar can use location information to figure out just that, and best of all, it’s easy! 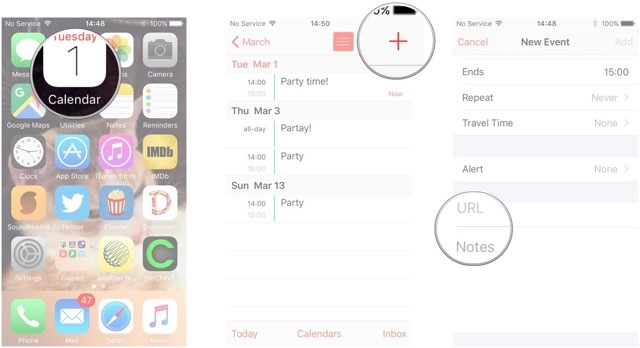 Launch the Calendar app from your Home screen. 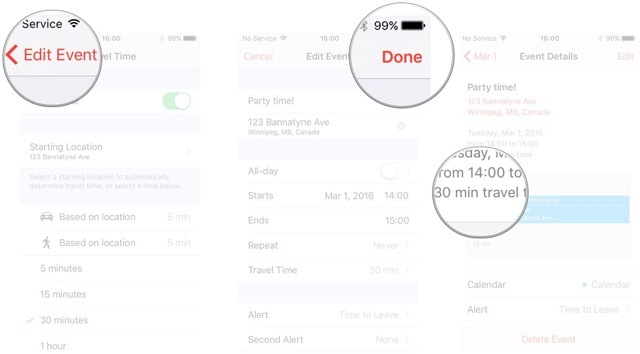 Tap on the event you’d like to calculate a travel time for or create a new one. 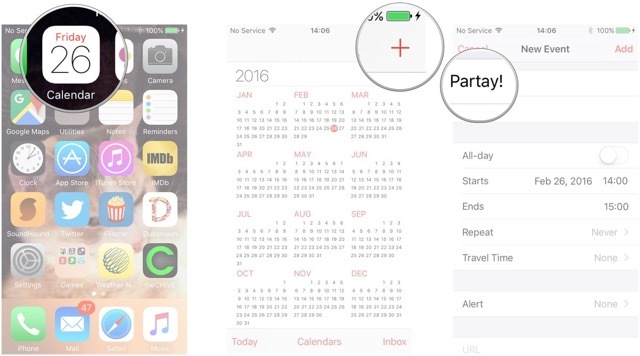 Tap on Starting Location and tell Calendar your starting location either by entering an address or the name of a place or business. Tap on Based on location for either driving or walking directions. Tap on Edit Event at the top. Look for travel time under the date area. 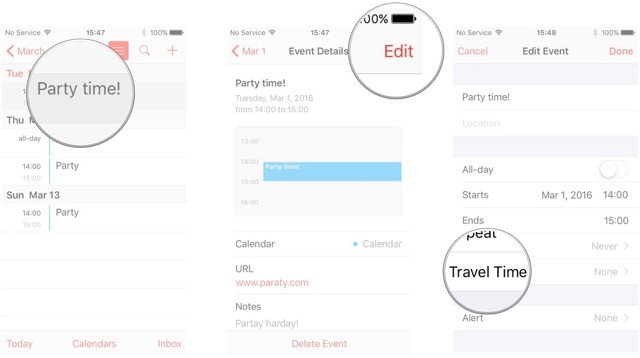 If you need to quickly change the time of an event or appointment in your iPhone or iPad’s Calendar, the today view gives you an incredibly easy way of doing so by dragging and dropping instead of entering into edit mode for each event you need to change. 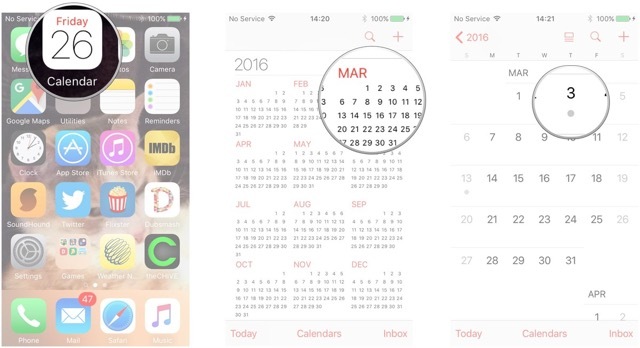 Launch the Calendar app from you Home screen. Toggle list view off at the top if it isn’t already. Tap on the day you need to switch things around for. Press and hold on the event you need to change the time for. It will change to a darker color. Drag the event to the time you need to move it to and release it when it’s at the correct time.